Each week, as our congregation comes together for worship and fellowship, we are united in our praise for our Lord, and in our desire to walk more faithfully with Christ. Even as we gather together, however, we are aware that some are facing a myriad of challenges in life: health difficulties, family stress, financial or work uncertainty, worries about a loved one. As we worship, we lift our burdens to God, and trust in his unfailing love and mercy. Please remember that Shadyside Presbyterian Church has four pastors who are available to talk and pray with you. Although each of them focuses upon certain aspects of ministry, they are all first and foremost pastors. They are all ordained to the Ministry of Word and Sacrament, and all of them desire to walk with you as you seek God’s strength and wisdom through both joys and challenges of life. If you would like to speak with one of the pastors, please do not hesitate to call the church office. 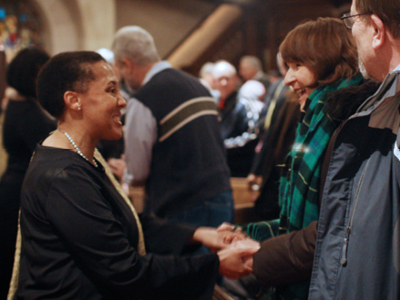 Shadyside Presbyterian Church also operates several programs and care ministries to address specific needs of people in our congregation and community. Please follow the links below to learn more about each of these care ministries. The Deacons minister to the needy, the sick, the friendless, and to those in distress. They also provide care and support for the congregation, while supplementing pastoral care. Learn more here. The Prayer Groups meet weekly, year-round, for a time of spoken and silent prayers. Learn more here. PrayerNet is a complement to our ongoing Prayer Groups and Prayer Shawl Ministry which lifts up urgent prayer requests for those who submit them via email. Learn more here. Shadyside’s Grief Support Group is an opportunity to walk with others who have suffered loss, and to draw upon God’s strength. Learn more here.